Go behind the scenes of RM Sotheby’s in Amelia Island. 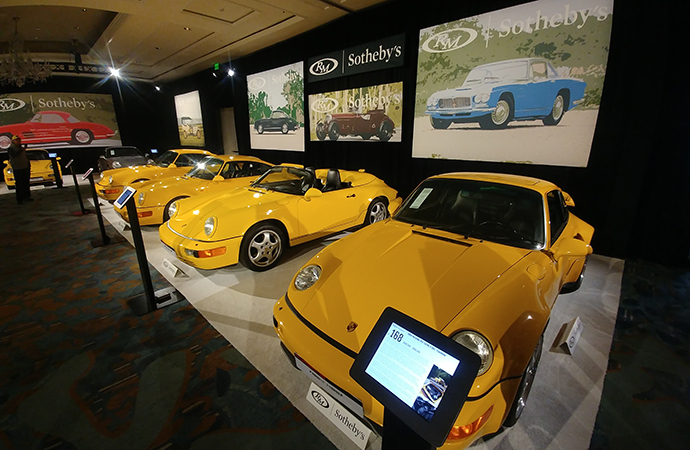 Join East Coast editor and auction expert for the ClassicCars.com Journal Andy Reid on a free guided tour of RM Sotheby’s auctions in Amelia Island, Florida. The tours are presented by Shriners Hospitals for Children. Learn fascinating facts about the auto auction industry, get up close with some of the star vehicles and even meet the influential people who make the auction possible. Use the form below to sign up for a tour. Once you register, you will be contacted by one of our team members to confirm your tour and give you more details. Registration for the tour will close March 4, or until all slots are filled. Update: The tour is full. Those who registered will be contacted soon to confirm their spot.